Love it or hate it, mung beans are a nutritional powerhouse and some would say that they can be considered as a superfood. Read this article to find out more about their health benefits. A part of the legume family, mung beans are an excellent source of protein. If combined with other cereals, a complete protein meal can be made. Mung beans contain vitamin C when sprouted, which is not found in the bean itself. 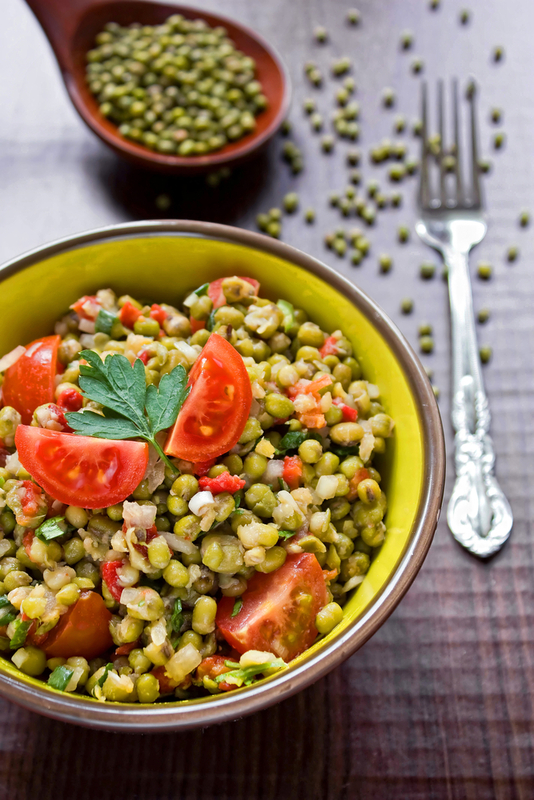 Mung beans are rich in fibre, have low saturated fat and sodium, and does not contain cholesterol. Due to the various nutrients found in mung beans, they offer a lot of health benefits to the immune system, the metabolism, the heart and other body organs, cell growth, protection against free radicals, and prevention of certain diseases like diabetes and cancer. The folic acid, also known as folate, that is contained in mung beans aids in lowering the risks of heart diseases, combats birth defects, contributes to a normal cell growth, helps in protein metabolism, and is essential in the production of red blood cells and for healing processes. Thiamine, also known as vitamin B, helps in ensuring that the nervous system is functioning properly. It plays a major role in releasing energy from carbohydrates. Manganese, a trace mineral, helps in energy production and antioxidant defenses. It is also important in the metabolism of carbohydrates, fats, proteins, and can be useful for the brain and the nerves. Magnesium helps in the relaxation of the veins and arteries, therefore lessens the resistance and improves the flow of blood, oxygen, and nutrients in the body. Research has revealed that magnesium deficiency is not correlated with a heart attack but that immediately following a heart attack, a lack of magnesium helps free radical damage to the heart. Copper is important in the body as it helps in the absorption of iron and is involved in protein metabolism. Iron helps the body to resist stress and disease and it is pivotal in the production of hemoglobin, which carries oxygenated blood to every cell in the body. It is also part of key enzyme systems for metabolism and energy production. Potassium is important in maintaining the acid-alkaline balance in the blood and for muscle contraction and a normal heart beat. Zinc helps boost the immune system and can be useful in fighting male infertility. Zinc helps healing processes in the body, growth, and tissue repair. Like all other legumes, mung beans are rich in fibre – more than fruits and vegetables and may be even better than wholegrains. The soluble fibre contained in mung beans collects the cholesterol in the intestines, keeps it out of the blood stream, and eliminates it out of the body. Mung beans can be used in several ways. They can be cooked, sprouted, or ground to make flour. In some countries in Asia, it is made into a paste, sweetened, and used as a filling in pastries, and in some countries it is even made into lollipops and ice cream. Mung beans should be washed well to remove the impurities. They also contain very few oligosaccharides, the sugar responsible for flatulence.